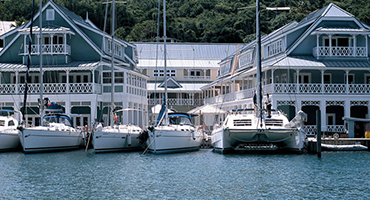 Part of the Lesser Antilles St. Lucia is 43 km long and 23 km wide, with a population of 150,000.
down to a beautiful coastline. 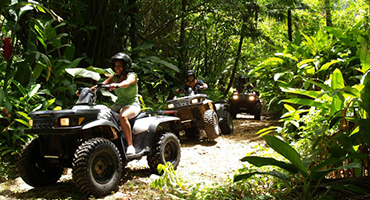 Piton Mountains, Rainforest, Sulphur Springs and Caribbean coral reef will make you feeling in paradise. 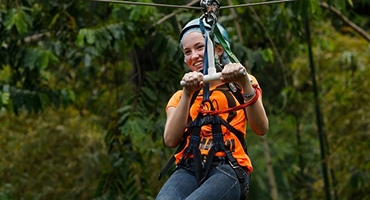 And many other attractions give reason to choose St. Lucia island, and, when there, Villa Susanna! Set of the movie Doctor Dolittle, with Rex Harrison, has been defined "the most beautiful bay of the Caribbean" by James A. Michener. 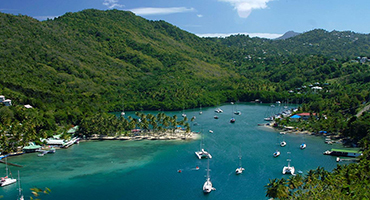 All year round, Marigot Bay is the home of dozens of sailboats which choose this tropical lagoon as one of the nicest natural anchorages in the Caribbean. Its particular shape and location make it well as a perfect hurricane hole. Just a few minutes of walk from Villa Susanna, facing the marvelous lagoon of Marigot, you will enter the Marina Village and feel yourself in another world. Here you'll find a picturesque café providing you real French baguettes, a nice Indian restaurant, a Bank with its ATM machine, a minimarket, Marinagourmet, with local and international food, and also some shopping. 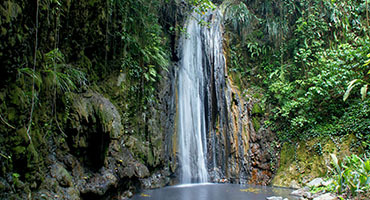 Soufriere Volcano is considered as the only "drive-in" volcano in the world, locally known as the Sulphur Springs. 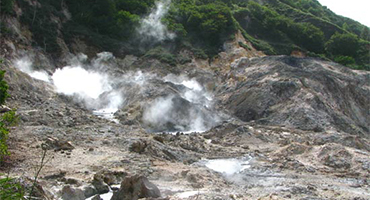 Today a major tourist attraction in St. Lucia, the road runs right up to and through the crates of the volcano which emits steam and sulfur with boiling mud and water bubbling away just a few meters from the tourists. Be prepared for the smell of rotten eggs! Good hikers cannot miss the hike to the Gros Piton. From atop its 2616 feet above sea level, you can enjoy the most beautiful view that very few locations in the world can even attempt to rival. 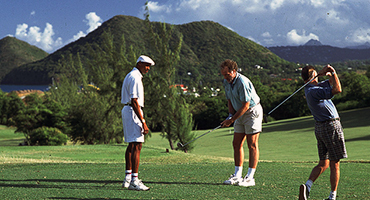 Bringing along a guide is required. The hike itself can take three hours or more in one direction. 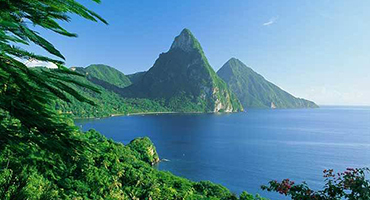 Not to be missed a visit to the beautiful beaches at the feet of the Pitons. 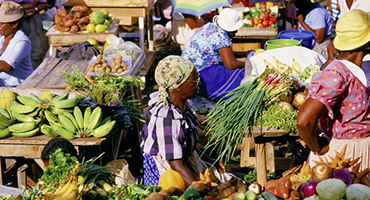 Downtown Castries, the Capital, every day in the morning you can reach the colorful local market: fruit, vegetables, handicrafts. 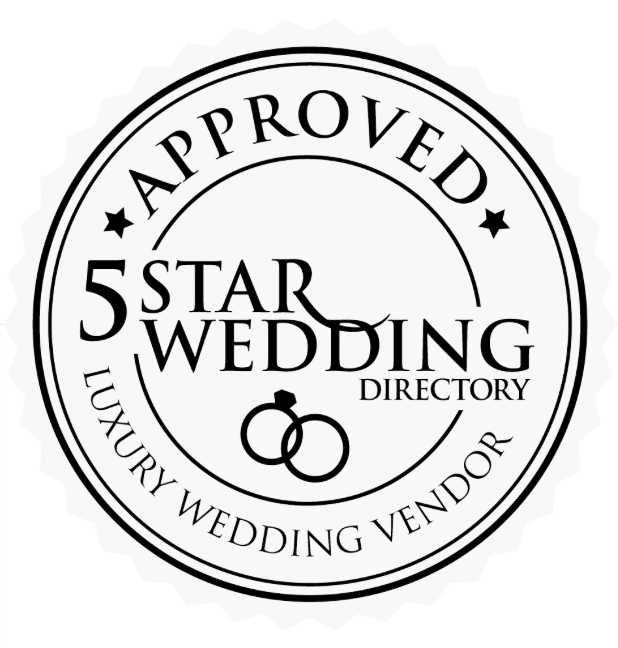 You'll find gentle people who will offer you their products. Smile them and they will smile you. Do not forget that Lucians are very religious: no market in Sundays! The best day to visit it is Saturday. You cannot miss a visit to the Roman Catholic Cathedral, located in the main square of Castries, Derek Walcott Square (Nobel Prize in Literatue in 1992). 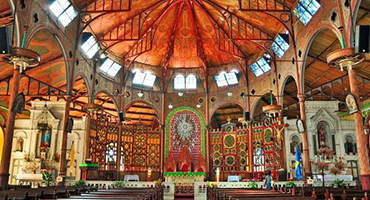 This church, with its iron wooden interior, is decorated by a mural by St. Lucian artist Dustan St. Omer. 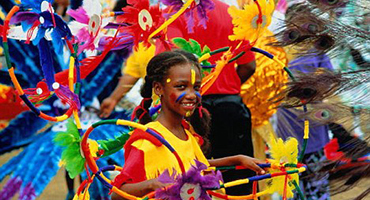 The Church is the largest Church of the Caribbean. Also a visit to the oldest Church of St. Lucia, in Soufriere, is worth. 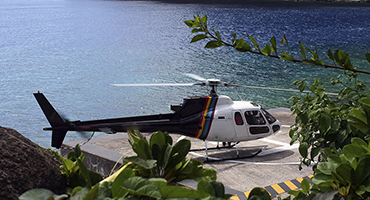 In the fishing village of Anse la Raye, few miles south of Villa Susanna, the residents offer for their Friday night fish fiestas and open-air street parties unsurpassed by another weekly activity. 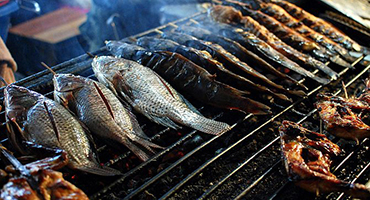 Fresh fish cooked on the roads of the village, drinks and live music. 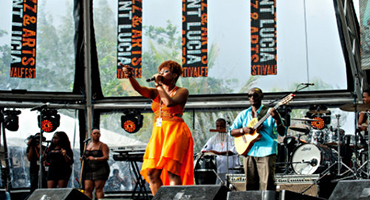 This is Anse La Raye Fish Friday: something not to miss! 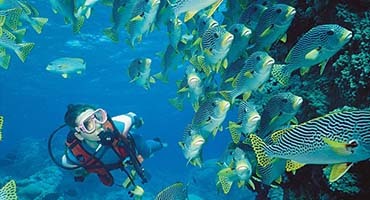 Diving in Saint Lucia is a must, being one of the most scenic settings the Caribbean has to offer, with the top St. Lucia dive and snorkeling just off shore. 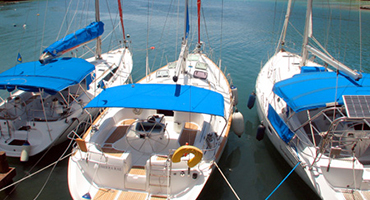 Diving off the waters of St. Lucia is ideal for both beginners and experts alike there are a variety of dive operators on island who are dedicated to ensure an exceptional diving experience. 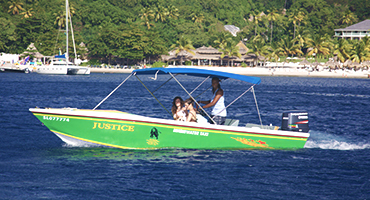 A way to get around St. Lucia is to be autonomous and to get a private car. 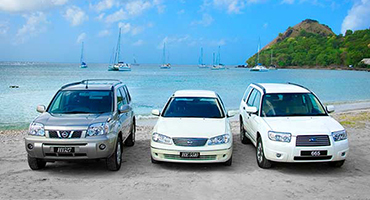 Lorrie and her stuff, with their Drive Thru Paradise, provides her fleet at special rates, delivering the vehicles directly to Villa Susanna. 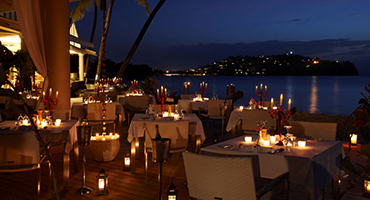 Chateau Mygo: In a very unique Caribbean atmosphere it offers fresh fish cooked in Indian/local style. 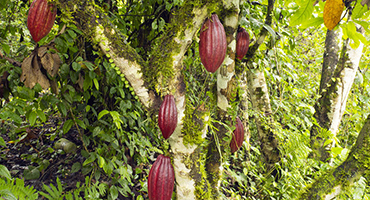 Rainforest Hideaway: Very elegant, suspended over the water on a pier in the spectacular Bay of Marigot offers utopian/Caribbean fusion menu. Bay Side Café, Rhum Cave, The Grill at 14°61, Brut Bar: Located inside the magnificent Capella Hotel, are open to our guests. 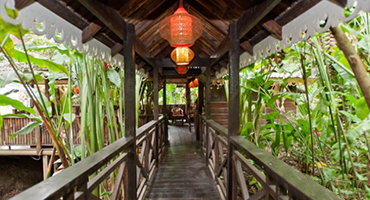 Beach Club: Behind the scenic Labas Beach offers a nice view of the bay.